The Wyoming coaching staff has now seen their commitment list reach double-digits with the verbal from Longmont, Colorado kicker Cooper Rothe. Rothe is the third Colorado prospect to verbal in the 2016 recruiting class. He joins Lakewood’s Braden Smith and Denver George Washington’s Adrian King from the Mile High state. The 6’0″, 170-pound Rothe is three sport athlete that is not only arguably the top kicker in all of Colorado but a quality corner back. Rothe was offered back on September 5th, the weekend of the North Dakota game. He then visited Laramie unofficially back on September 26th for the New Mexico game. He selected the Cowboys over an offer from Air Force. On the reason why Rothe selected the Cowboys over Air Force among others? 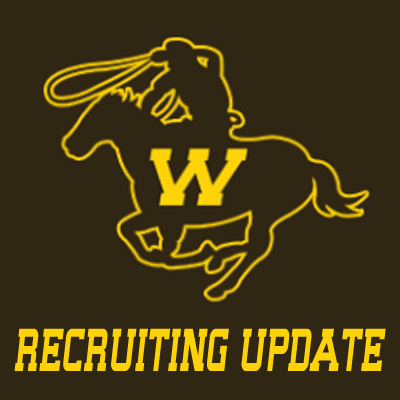 “I’m looking forward to the process of getting Wyoming to the Fiesta Bowl and being Mountain West Conference champs like coach (Craig) Bohl has in mind,” said the Longmont kicker. Rothe is number one in the State of Colorado when it comes to kickoffs, points after touchdowns and the state’s longest field goal. When it comes to kickoffs he has 28 touch-backs on 39 kickoffs on the season. He has also made 26 of 29 PAT’s, with the 3 missed being blocked. He has also made 3 of 4 field goals with the longest being a 55-yarders against Pueblo East in the season opener. Rothe has the capabilities to make field goals up to 65 yards. During the off-season, Rothe attended a Kohls kicking camp in California last Christmas break. He also has a personal trainer in ex-Wyoming kicker Deric Yaussi. WyoNationDotCom I heard he was a CB…hahaha.